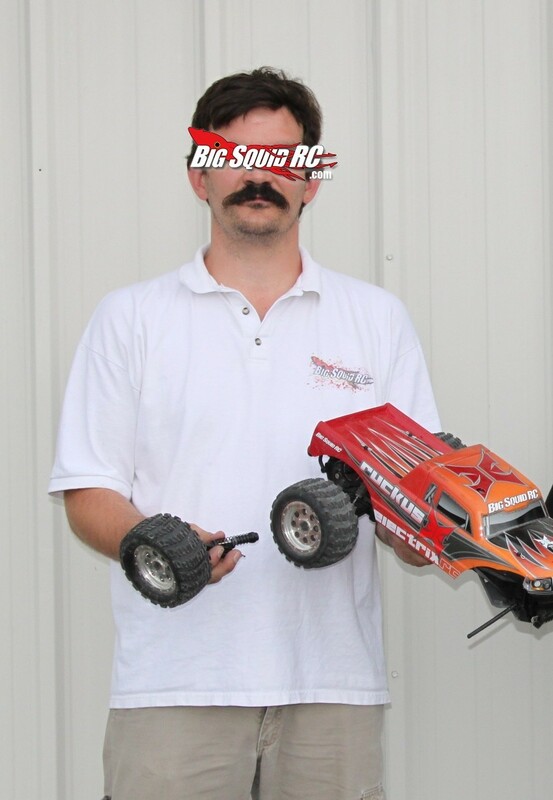 THE Cub Report- 01.07.2013, Version- Hot Since 82 « Big Squid RC – RC Car and Truck News, Reviews, Videos, and More! Hola Amigo’s, happy Monday, and welcome to this weeks edition of THE Cub Report. If your tv was locked on Speed Channel Saturday night like ours were, you were treated to a complete show of dominance by Eli Tomac in the Lites/250 class (had the fastest lap time of the night!) and a real nail biter in the 450/Supercross/Big-Boy-Pants class with Davi Millsaps just barely edging out Trey Canard for the win. RV2, RD5, and Bam-Bam all crashed, but even if they hadn’t I don’t know if they could have beat Davi last night, he was on rails. Oh yes, Supercross 2013 looks to be one for the ages. Speaking of Supercross… the rocket scientists at our largest rc sanctioning body have come up with a new baseline set of rules allowing 4 stroke engines to compete against the standard 2-stroke versions in rc racing. Wow, where were these rules two decades ago? Which company is coming out with a new 4 stroke for surface vehicles that this new rule will prove advantageous to? Gasoline powered two strokes, like the HPI Octane, look to be the next “big thing” in rc, where are the rules for them? Why not just open up the rules and allow for more technology that directly trickles down to longer and better running nitro engines of all types? Wow, just wow. While I like seeing more diversity in engines choices, based on their press release I wonder if they have the faintest clue what they are talking about. For instance- “Four stroke engines have dominated the SX world, and they’ve eclipsed the performance of the two-stroke engines once thought to be superior in terms of total power and power-to-weight ratio.” What freak’n idiot wrote this sentence? Did the person that wrote this not know of the displacement advantage the AMA gives to 4 strokes vs 2 stokes? Has the author never ridden a 125cc 2 stroke and 125cc 4 stroke back to back? Ever ridden a 500cc 2 stroke back to back against a 450 4 stroke? Obviously not, because the reason 4 strokes are given such a huge displacement advantage is because they put out much less power per cc than a 2 stroke in the moto world. If 4 strokes are indeed “more powerful” then perhaps the 2 strokes should be given the displacement advantage. Or how about this gem- “But proper four-stroke technology applied to RC car engines can offer increased efficiency, a reduction in exhaust noise, and as seen in the SX world, potentially much more usable power.” Whew, there is just so much Wrong in that sentence, where am I to start? How about noise. If the person that wrote this load of crap even had the slightest knowledge of the motocross world, or heck, has even heard a modern 4 stroke motocross bike run in somebodies garage, they’d already know how much louder a modern racing 4 stroke is than a 2 stroke. The 4 stroke “revolution” in motocross really took off back in 97′ with Doug Henry racing the factory Yamaha YZM400F. When Doug’s bike was the only 4 stroke on the track you could easily hear it above a full field of 2 stokes. And since the moto world was converted over to 4 strokes, arguably the biggest reason for track closures has been noise issues. Taking a B&K or Audio Control sound meter (regardless of weighting) and reading 2 strokes vs 4 may only yield a 3 db difference in sound pressure level, however- the type of sound each emits is much different. The 2 stroke has a higher exhaust pitch which doesn’t carry as far and is more easily absorbed when hitting objects. The 4 stroke is a lower pitch that carries further and tends to resonate inside of sealed enclosures (like a house). I know a whole lot of rc tracks sitting near residential housing that currently have no noise issues, but, put a full grid of 4 strokes on the track and their neighbors WILL be calling the cops every Saturday. How about I take up the “much more usable power.” part from the previous quote. There are two problems with this. One- has the person that wrote that sentence driven one of the modern high-end racing .21 nitro engines? I have, and I had no chance of using all the power it was putting out. The top 50 racers in the world probably use ever single bit, but what good would even more power do for the other 99.999% of users? None, that’s what good it would do. How about making some changes that will benefit the masses- such as engines that freak’n actually start and run consistently? Secondly- a 4 stroke would be able to put out more power, but only with a huge displacement advantage. Having double the displacement isn’t a heads up fight, where is the asterisk to mention that little point? Compare a .21 2 stroke against a .21 4 stroke and lets see what’s up shall we? 4 stroke engines were pushed on the motocross world by the manufactures for environmental reasons. The “big 4” were afraid that government regulations were about to tighten up on the “dirty burning” 2 strokes, so they started cutting back on the 2 smokes and pushing the valve clankers. No doubt, because of the smoother powerband and huge displacement advantage given to 4 stroke motocross bikes, they were easier to go fast on at your local mx track. However, the 4 stroke revolution has been slowly killing the mx scene at the local level. Prices for buying a 4 stroke race machine are significantly higher than their 2 stroke counterpart, this has been a big problem. The noise issue has also been a huge issue causing many track closures. And perhaps the biggest problem has been the cost of racing has gone up. Popping a piston and a set of rings in a 2 stroke might set you back $175 and an hour of your time. Blowing up your 4 stroke can cost thousands to fix. Changing out the rings and piston in your YZ250 2 smoke once a year is simply a whole lot cheaper than keeping a YZ250F running an entire season. Motocross bike sales are at the lowest levels in years, and many people in the the industry are blaming it on the 4 stroke revolution. If our rc sanctioning body is going to learn any lesson from the moto/supercross world, perhaps that’s the one they should take away. Costs for rc racing are already astronomically high, 4 stroke engines would only increase them, cause track closures from noise complaints, and gradually kill racing as we know it today. Rc racing should truly be an everymans game, not strictly for those with fat pocketbooks. On a different note… traditionally the first CR of the year is about “what to expect in the coming year”, but that’s going to have to wait till next time. Have a great week everyone, be sure and check out our Wednesday night Google + Live show (we are slowly getting our footing and getting all the bugs worked out) and support your local hobby shops and bash spots!